Your daily drive back and forth to work or school can often be tiring, stressful and boring. Although you may try to pass the time by listening to music or news on the radio, more often than not you will find yourself switching back and forth between stations to avoid the many commercial breaks or to find tunes that suit your mood that specific day. However, with Bluetooth and phone integration options now available in many vehicles, these problems can be put to rest. The solution? Creating a playlist. Here are six tips for constructing the perfect playlist that will have you singing along from Point A to Point B. Choosing songs for your playlist is a delicate art. 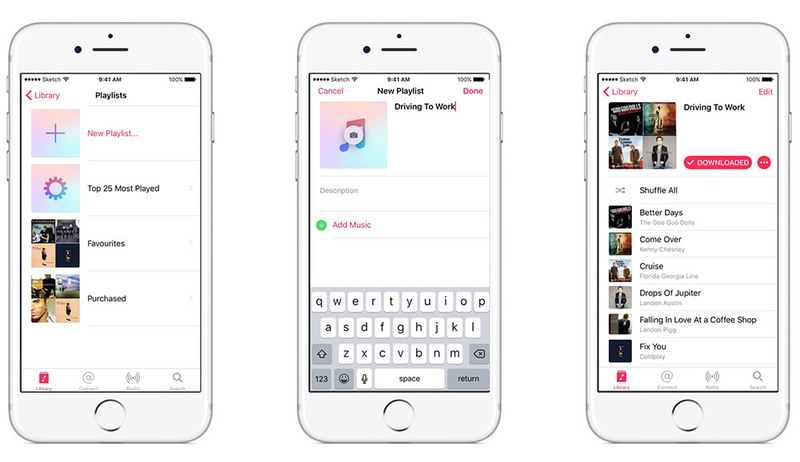 The average iTunes user has thousands of tracks downloaded onto their smartphone device. But how many of these songs do they actually like, or would enjoy hearing on a regular basis? Chances are, not too many. It is important that your playlist is constructed of songs that you don’t just like, but LOVE, so that you can look forward to listening to them each time you get into your car. The beauty of playlists is that they are fully customizable. So, it is important to take full advantage of that by including just the right amount of songs for your drive to ensure that you get to hear your favourites on a regular basis, but not so frequently that you grow to dislike them. The shorter the commute, the shorter the playlist (and vice-versa). Looking for a rule of thumb? Have enough songs on your playlist so that you hear each one about once per round-trip. The best playlists will feature music from a variety of genres and artists. This will keep your drive more interesting and inspired than, say, 25 consecutive Coldplay tracks. Transitions from slow ballads to upbeat pop tunes will help you stay alert and engaged. Don’t be afraid to add or subtract songs from your playlist on a regular basis. Have you fallen in love with the latest Ed Sheeran track? Open up your iTunes and select “Add to Playlist” ASAP! Not quite feeling that popular Adele song anymore? Just take it out; it will be super easy to put it back in later when you undoubtedly begin to miss it. Perhaps you prefer to hear more mellow music as you start your commute at the crack of dawn, or some hard rock as you get out of work early on a Friday afternoon. The resolution? Create multiple playlists that you are able to choose from to suit your mood. Be careful not to create too many, however, as the quality of the playlists will likely become diluted as a result. Playing your playlist from top to bottom every time will lead to it quickly becoming very boring and predictable. By always selecting “Shuffle,” you will never know which song will come through your speakers next.